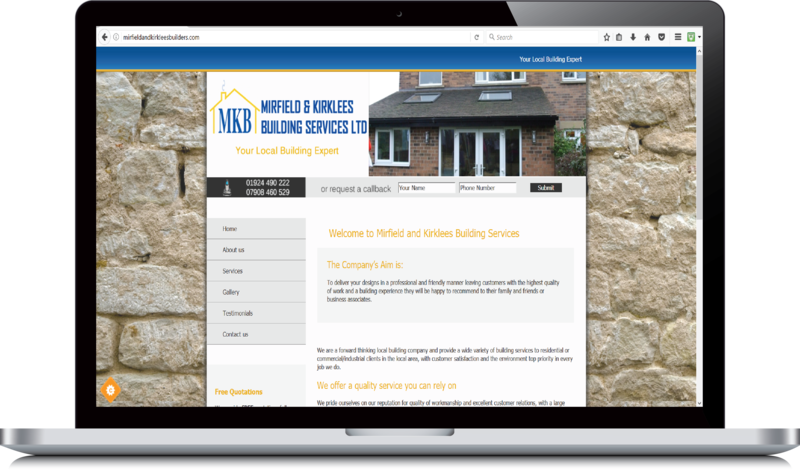 Mirfield and Kirklees Building Services Ltd are a local building company and provide a wide variety of building services to residential or commercial/industrial clients in the local Mirfield and Kirklees area. With over 20 years experience in the residential building and commercial trade, they offer a full range of services from initial design ideas and planning permission drawings through to full project management. The company needed a brand new website creating as they previously didn't have one. We provided them a full service getting them the domain name they desired registered and sorting them out with their hosting for the new site. They needed a site which could display the latest building projects they were working on or had recently completed. We therefore created a design intergrating user friendly photo galleries for individual projects. The site also provides users with details of their services and ways to contact them and enquire for a quote.